Phew.. finally lunch after the hectic “bridesmaid chore”.. yes, choosing flowers for the bouquet. It is not as easy as thought, cause the names of flower just doesn’t stop at just rose, lily or so. And the different types and species with their scientific names doesn’t help! Now… yes, I need food.. loads of it after killing so many brain cells. And I was brought to this awesome looking place, Shanghai Stories 1938. The moment I reach the front door and saw the “yum cha” word, I’m already loving it! Now the best part of the day started the moment the food arrive one by one on the table. I always thought I’ve tried most of the variety of dim sum… until today. Yes, when they landed two dishes which I’ve never tried before, the pan fried pork bun with sesame and sticky rice siu mai with pork and mushroom. 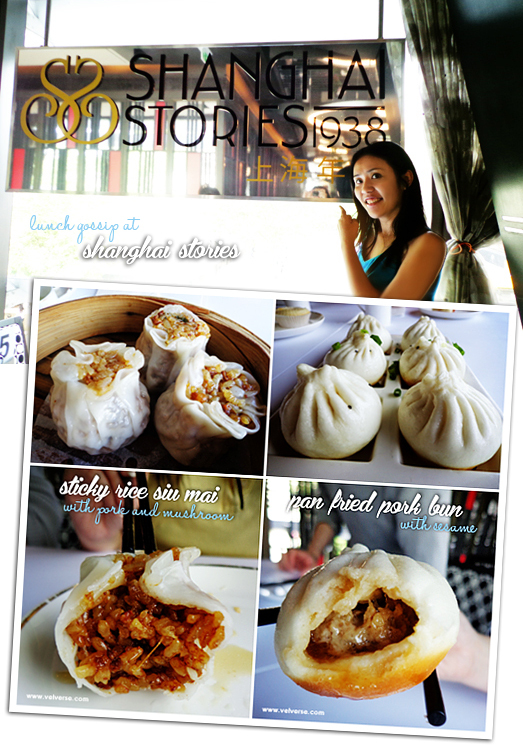 Woo la la… the pan fried pork bun is a pan friend version of the xiao long bao. I’m totally falling in love with this. 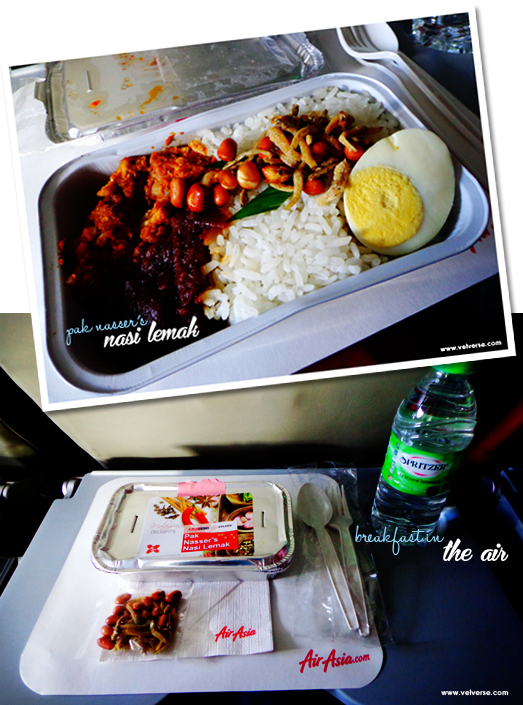 Who would have thought the pan fried version is so much more yummy and juicy. *yum yum*.. 1 is definately not enough! The sticky rice siu mai, comes as a surprise to me as well. Yes, I’ve never tried anything like this before. A dish that basically combines the chinese sticky rice dish wrapped with siu mai skin. The fragrant of the sticky rice with pork and mushroom is just amazing. 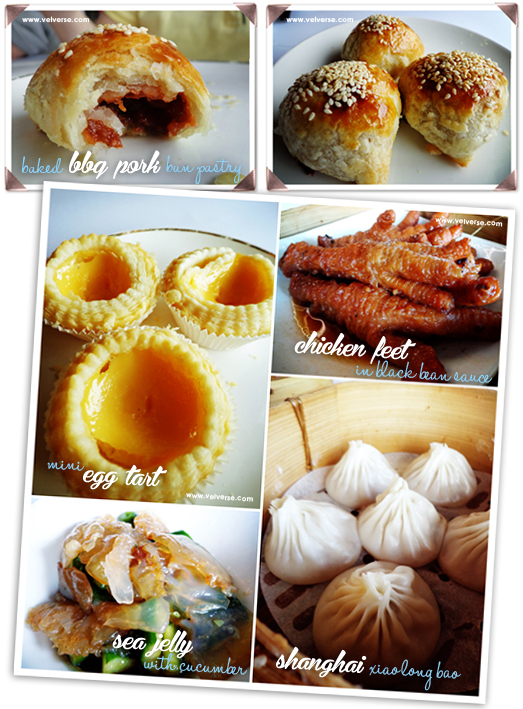 Oh yeah, not forgetting the baked bbq pork bun pastry as well. *slurp slurp* ooo… the pastry is simply too flaky. I simply adore this to the max! Ah… how how how?? I should diet to fit in my bridesmaid dress! 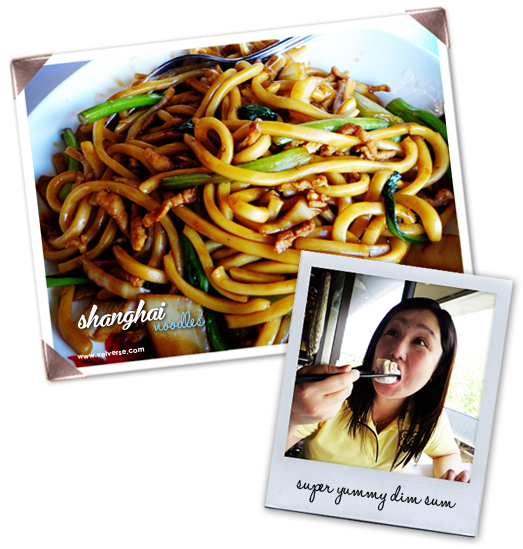 But ah… who cares, food is too yummy to resist. And I don’t think I need to go on and on to tell you how well every other thing tasted all just so yummy. See.. now my cousin also enjoys the food to the max. Super yummy teatime. Now, the funny thoughts are back… and I always have this feeling the imigration will not let me go easily. Now yes, where is my sweet cousin and her fiance?? *aha* There they are! I spot them the instant I took the corner. And since, my cousin needs to pick up another friend which is scheduled to arrive 30mins later… we go pick up free coffee! YUP!! Free Coffee!! Apparently there’s a “Two coffee, a duty free voucher and newspaper” promotion when you park at Sydney Airport. 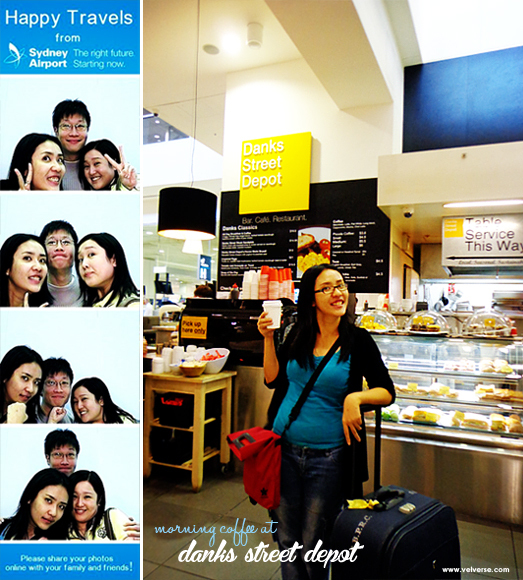 I know it’s my lucky day, when we even stumble upon this photobooth in the airport.. which shouts out “FREE photo”. Yes… FREE! And we love everything free!! Now yes, my first photo in the Australia. And to my surprise… there’s actually video, which we all didn’t know until we check out the website. Curious?? LOL… ok, I’m kind enough to share the fun here. Click here to view. It was quite a fun and exciting experience, keep checking if I am at the right gate, board the right plane, wondering who’ll be that stranger sitting next to me and etc. But well, those funny thoughts didn’t really last that long… as I doze off to sleep probably 10mins after boarding the plane. *giggles* Can’t help it if I haven’t slept well for the past weeks. It’s been a while, since I woke up to something beautiful… something I would look forward to. Waking up in the early morning has never been so fun! 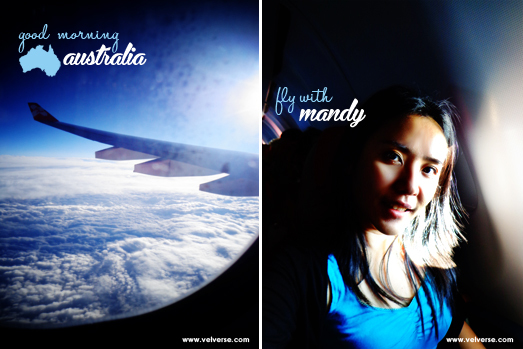 Now, happy moments do pass by real quickly.. and I’ve finally landed in the land down under. Oh where… oh where is my hiao cousin? Has she arrived? What is the agenda of the day? Where will this tour guide of mine bring me? What to eat? What to see? Where to go? Hemm… now, why does landing always takes so long. Geez! Wee… from Beijing to Sydney. Yes I know, I think I have fully utilized my quota of holidays for 2012 in October. 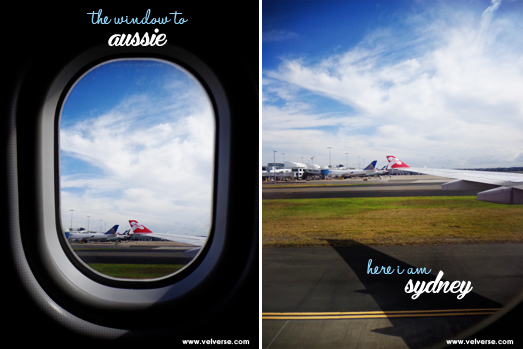 From Autumn in Beijing to Spring in Sydney… it’s simply stunning and awesome. What made the holiday sweeter, was my best-est cousin got married. Pictres?? Awesome shots, beautiful scenic views. Sharing?? Definately… right after I finish posting my Beijing posts!